Ab original oil from eastern South Dakota. This work was shown only once, at my 2007 Eide/Dalrymple Gallery show at Augustana College, Sioux Falls. 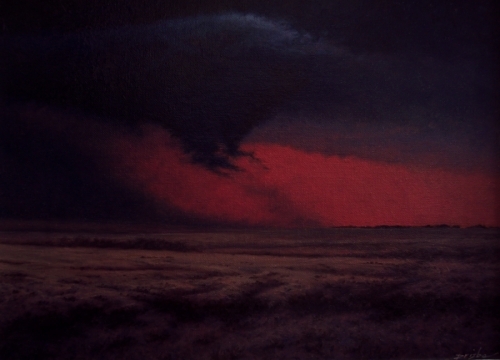 An original oil depicting a view of the Black Hills from Fort Meade Recreational Area, near Sturgis, Meade County, South Dakota. 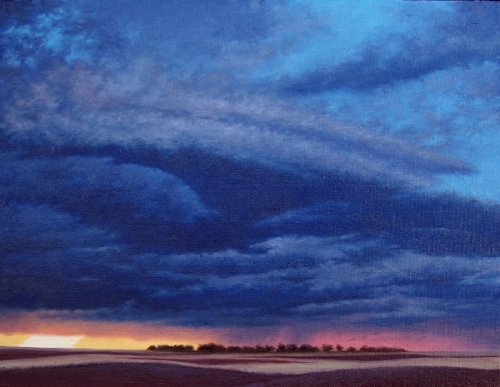 Another work from my 2007 exhibit at the Eide/Dalrymple Gallery in Sioux Falls. I do not understand why this image is hanging around, though I am glad to still have it, as it is one of my favorites.